I like the pure lean definition of waste – Anything that does not add value to the customer, full stop. We might argue about it…it would simply be a waste! Some thinkers would add one more category on top of the list – a waste of unused human talent. This is the moment were leaders come into the game. Unused talent or “idle brain” is the situation either when nothing useful or something wasteful is done. 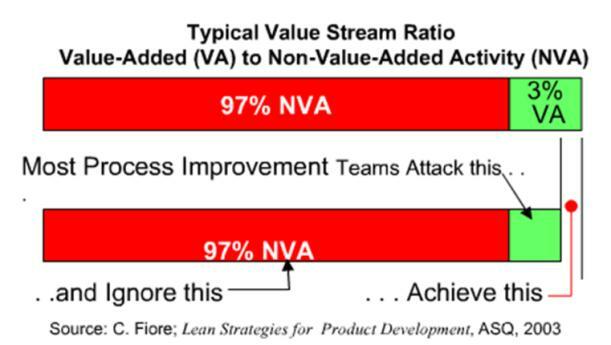 On the (quite old) figure shown, there is a ratio between value added and non value added activities in a typical organization. As seen from the figure a large part of the process and activities may appear in a form that our customer would not be willing to pay for. However, those activities are built into the final price of the product that we sell making it less competitive than it should be. We tend to focus on increasing efficiency of the small green part and ignore a big pool of wasteful activities with the color that irritates bulls. Losing energy, time and resources with the red part completely shadow the efficiency gain on the green part. There are strong indications that with the system thinking focusing to optimize the whole production chain, about 50% of the red part can be eliminated. 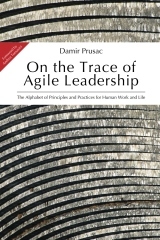 The non-value added part is usually a big legacy part of activities, process, methods, tools and culture that cannot be changed over night. 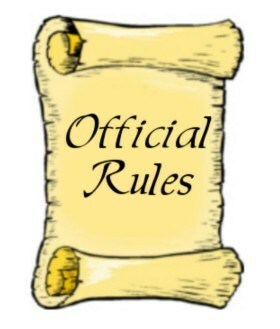 It also cannot and should not be terminated all together. There are activities that are perhaps not adding any value, but still needed to maintain and execute the operations of the organization. 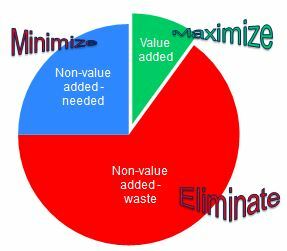 By eliminating wasteful work (a pure waste) and minimizing actions that do not generate value, but are still needed due to different reasons, we maximize a value added work. So let’s relentlessly learn how to see and expose any type of waste. That’s what continuous improvement is about in a large extend.